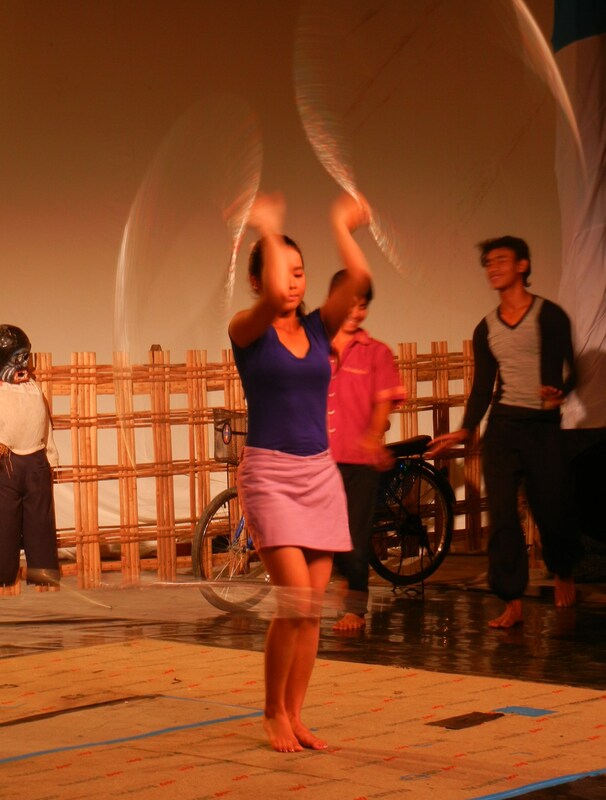 Battambang is home to the Phare Ponleu Selpak Circus School and NGO. The mission behind the organization is to provide opportunities for children from less fortunate backgrounds through the medium of performance art. It started back in 1986 in refugee camps lining the Thai border, with simple drawing workshops. The experiment continued after the refugees returned to their homelands in Battambang and Phare Ponleu Selpak has blossomed to where it now has a worldwide reputation. Every Monday and Thursday a show is performed for both locals and tourists to rousing applause and appreciation. It is a Cirque du Solei type of circus. In fact several of the students have graduated and been accepted to Montreal where the holy learning grail of circus performers is located. Others have gone on to perform all over Europe and Asia in various disciplines. It was an incredible show highlighting many of the skills taught here. Hand balancing, contortion, tumbling, dancing, acrobatics, and hula hooping. The kids were smooth in their transitions and there was a basic story-line to the show however, to be very honest, it was lost on me. That said though, and not taking away from the degree of difficulty, this was a very strange and bizarre show, at times…and highly inspirational. The entertainment starts out with a gang of young men sneaking around the stage; eventually stealing another young mans bicycle. The owner of the bike, noticing it gone, begins to dance with a girl; she begins an energetic hula-hoop routine. She has hoops on her hands, neck, waist, and feet; all spinning at the same time but never colliding. He is laughing at her but seemingly trying to flirt at the same time. She was having none of it however. The hula-hoopists mother comes out and with a slap to the boys face he and the hula girl exit stage-left. Enter two more girls who begin to dance around the mother the way children do; flailing arms and legs with a degree of energetic chaos. Mother begins washing clothes. The girls are enticing her to dance but she is refusing to join in. With each refusal she scowls and sends them scurrying away. In a desperate surrender, the kind of surrender all mothers are familiar with, she puts down the washing and they all dance…eventually morphing into a contortionist act. Meanwhile some other guys steal all the laundry. The slapstick stylings of thievery now becoming part of the overall theme. When mother, now pained by regret, realizes she is unhappy with the situation. It was the girls who made her contort. She wants to be part of it no longer. They contort together one more time, as if spurred on by a type of contortionist addiction, and then abruptly turn and run off stage. Enter four guys wearing what can only be described as diapers. The ensemble is completed using a pacifier accessory in each of their mouths. They tumble, dance, and perform acrobatic stunts and high flying maneuvers. Huge smiles cover their faces which on occasion break to laughter; it seems they are equally as confused by their outfits as the audience. More dancers enter. They also do tumbling. Then there are some cheerleader types who build a human pyramid. Others fly through hoops held by one of the girls. More dancing, hula hooping, contortion. The stolen bicycle or laundry are never retrieved. At final curtain they all come on stage and bow; beaming with pride. The girls in their outfits and the guys in diapers. They smile and laugh and I join them; applauding and cheering loudly. Not a show you will see very often so when in Battambang, if on a Monday or Thursday, check it out. You wont easily forget this whirlwind performance with a humanitarian slant benefiting countless children living life in the harsh circumstance that is Cambodia. An expose on one of the performers who’s life has been forever changed by the circus. How smooth the children’s movements were is impressive. Live performances usually are. There is an amazing aspect in watching people do things I don’t know. Is there any chance of an upcoming book or documentary on your travels? That is very kind of you Deidre and I would love nothing more than to get a book out there about this life of adventure I have had. What an amazing show. You have just reminded me that I have not been to a circus for a long time. I used to love taking the children to the Circus. I love Cirque de Soleil and what a great way to help underprivileged kids. Creativity opens the mind up to dream big. The circus looks very interesting. It looks like it was a very good show. I like that they rely on creating a show using acrobatics rather than using animals. This circus sounds like a great way to spend some time oohing and aahing! Well, I just think that is really cool. I can’t even imagine how that experience must make those children feel. I’m a very big supporter of the arts (any kind) and love that the organization intertwines art and kids. They will no doubt be better individuals for it. I love your description of the show. I’d love to see it in person, but your humor helped me get a glimpse. It’s amazing to think that something that started out as a simple social experiment has the power to actually impact people’s lives. 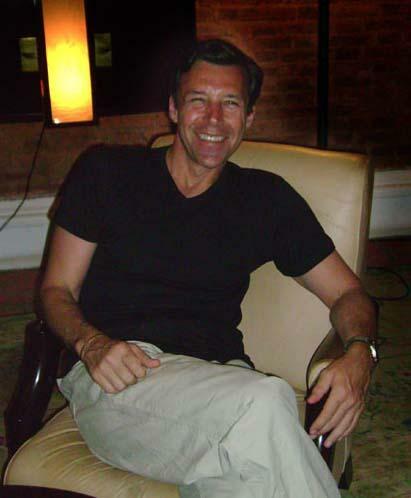 When you are in either Battambang or Siem Reap you will have the opportunity. Happy trails Meredith. This type of circus sounds like something I would enjoy watching, as I like watching tumbling and cheerleading moves. It always astounds me to see what humans are capable of doing with their bodies! Sounds pretty interesting. The whole concept of what a circus is has completely changed. Instead of a travelling road show setting up in a small town in the middle of a country it could now be a troupe from anywhere in the world performing in a Broadway theater. True but this is hardly a troupe performing in a Broadway theater. This is a group of kids who have little hope in life due to the situation they were born into making the best of it. This sounds quite ridiculous and awesome! What a circus, huh? It’s great to see such good things coming out of such horror as what led to those refugee camps. Hopefully stories like this spring up more often in Cambodia. Such a great country with amazing people. You continue to amaze me with the stories you share. Thank you. Thanks very much and glad you are enjoying the adventure. Ridiculous and awesome pretty much sums it up and you are right that it is a great country with amazing people. I have not been to a circus in a long while and its about time I searched for one. From reading your story, I feel as though I just attended the performance! A fabulous re-cap, plus I love what they are doing by promoting the arts in this way! Simply wonderful Tim. Nothing like a flying person to grab your attention! Wow, this is really neat. These kids are so talented and it is so great that they are provided such a unique opportunity. It is equally wonderful that it provides for those who don’t necessarily have so much. Such a brilliant idea to combine the desire to provide with the opportunity to entertain. Also wonderful that many of these kids get lifelong opportunities. Thank you for the pictures and the video. I really enjoyed this. Great story about the circus. Your writing is so vivid that I could see the mom dancing with the kids and her laundry getting stolen. What a great show and a wonderful way to help children. It must help their self esteem wonderfully too. It would be a good idea for kids every where including those with dyslexia etc who have a problem putting pen to paper. I know martial arts have helped some. Tim, I think its wonderful how this circus got its start – sounds like it started as something to keep the children busy and happy – and how is has progressed to what it is today. So often we tend to throw money or our used clothing at the less fortunate, but here is something that goes way beyond that and gives them hope and a future. BTW – who was behind the start of this venture? I believe the man who started it all is the one in the video. What a fascinating show. I’m glad to hear some students have gone on to other successes. Bravo to Phare Ponleu Selpak Circus School for helping impoverished children this way. I love Cirque du Solei type shows. Saw a good one in Vegas recently. I’d much rather see one like the one you tell about, which is helping young people. What a great program! I won’t say what I first saw when I read Battambang. But you might know. Most inspiring is that this all goes to benefit the less than fortunate Cambodia children. Maybe that is why it’s a success: it’s a fun, heartfelt display of what sounds like wonderful acrobatics. Who wouldn’t want to have some fun these days. Thanks for continuing to give us a world view of life. You are probably right Patricia as there are very few options open to the people of Cambodia so whatever they do has to work. Another place I’ve not visited…Battambang but this circus sounds like fun, even if a bit confusing with the permanent loss of the bicycle and the laundry, but what the heck! Who doesn’t love a circus? And I love that it is all for a good cause… for that, there is forgiveness for a bit of an incomplete story, right?